I’ve been a fan of Thich Nhat Hanh for years. 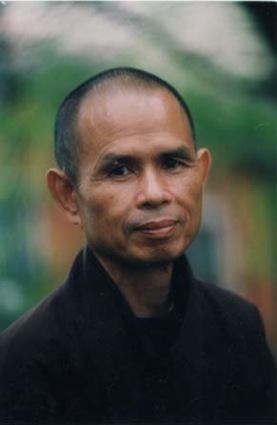 He’s a Vietnamese Buddhist monk who has written a number of books on Buddhism, meditation and mindful thinking. 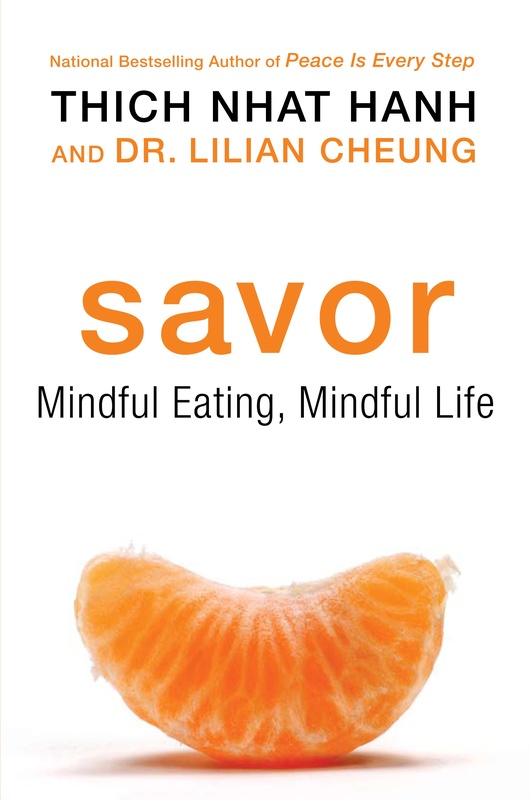 I recently read Savor: Mindful Eating, Mindful Life, a book about mindful weight loss. I could relate to a lot of things in this book and I think it would have been a helpful book to read when I was first contemplating losing my weight. Wow, did that speak to me or what! I suppressed the unhappiness and the drive to get healthy for years. I ate food to self-medicate my unhappiness which in turn made my unhappiness worse. I needed a wake-up call to realize it was time to make that change. It definitely wasn’t a pleasant wake-up call and obviously I had to go through a transformation mentally in order to get to the point where I was ready to lose weight. I knew the roots of my weight problem. They were extensive and I’m still working on them. It might be a lifetime of work for me. I really liked the concept of a Hungry Ghost. I definitely have hungry ghosts. They were always there when I was obese and no matter how much I binged, it never satisfied them. Do I still have Hungry Ghosts? Yes, sometimes. It’s not as often and not as bad as it used to be. That gives me hope that I can overcome it completely some day. What about you? Do you have a Hungry Ghost that is never satisfied? The book is definitely a good book for someone thinking about losing weight. It wasn’t that helpful for me at this point in my journey, but there were definitely some good reminders in there that helped me. I have been struggling lately. The injury that I’ve been dealing with since October has been depressing and ongoing and I have most definitely turned to food at times for comfort. I hate that I reverted back to that mode, but I did do a pretty good job not completely falling off the wagon. Still, there were some good reminders for me to be mindful of WHAT I am eating and WHY. I’ve said it over and over again: when desiring to lose weight you have to start small. Starting too big too soon will set you up for failure. This was TOTALLY true for me. I was over 250 pounds, unhealthy, inactive, in pain all the time. I was a couch potato that binged on junk food. I found that when I started counting my calories and swimming, I started to feel better. I felt more active, I felt healthier, I felt happier! It really did work! Doing just a little bit got me out of my funk and on the road to health. Once I started to feel better and I was seeing results on the scale, I CRAVED healthy foods and exercise. It got easier to make good choices. I was being rewarded with progress. 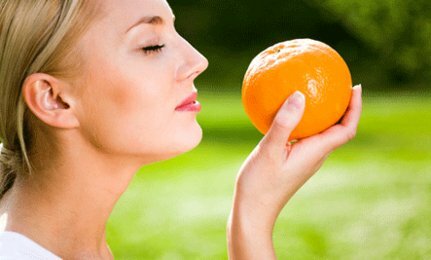 Have you ever heard of the phrase “mindful eating”? It’s a really simple concept that I think we as Americans have gotten so far away from that it’s probably a reason for our weight issues. As a whole, we’re overscheduled, eating on the run, grabbing a quick to-go meal. Gone are the days where we sat down and enjoyed our meals together. It’s protein bars and meal-replacement shakes as we race to get to work on time. How interesting is that above quote? It’s so true too! Think about the last time you ate something that wasn’t very good but you kept eating it. I’ve given myself permission to throw out food I don’t like. For example, someone brought some cookies to work and I walked by them all day long thinking, Those look so good! I finally broke down and got one. I took a bite and discovered it wasn’t as good as it looked. It was dry, flavorless and just not great. I took one bite, discovered that, and then threw it out. Why keep eating it? I wasn’t enjoying it. It was a waste of calories! Reading that line I had to stop and think — do I really enjoy and savor my food? Or am I eating too fast and in a distracted manner? Am I reading? Watching TV? Doing chores while I take bites here and there? Or am I focused and mindful on each bite I eat and all the glorious flavors I taste? The sad answer is that I don’t eat mindfully often enough. I challenge all of my readers to try that experiment. Slow down. Enjoy your food. Contemplate it. Really taste every flavor. A lot of the book was pretty basic. I didn’t find anything of value in the first half of the book, really. It wasn’t new information on how to eat healthy. What was helpful for me was the second half of the book that talked more about mindful eating and learning to enjoy my food. I did like that part a lot! I’ll end this post with his “Seven Practices of a Mindful Eater.” I don’t want to give the whole book away! 2. Engage all six senses. 3. Serve in modest portions. 4. Savor small bites and chew thoroughly. 5. Eat slowly to avoid overeating. 7. Eat a plant-based diet for your health and for the planet. If you take anything away from this post and don’t read the book, at least take into consideration the above 7 tips. They are great tips and pretty much what I do. Smaller portions, don’t skip meals. Personally I need to work on honoring my food and eating slowly. QUESTION: Have you read this book? Do you practice mindful eating? I love this subject, I have to remind myself to do this because I have found when I focus and concentrate on my food I eat less! We’re so used to just shoving food into our faces without even acknowledging it. I’m definitely going to check this book out, I especially like the point about honoring our food. My significant other is the type of person who will eat something because it’s there in front of him, whether it’s good or not, or whether he’s hungry or not. Drives me nuts. Great comment. I agree, so many times we just eat because food is in front of us! The biggest thing I took away from it was the habit energy and how you can refocus that energy to help break habits. Excellent article and interesting points on the hungry ghosts and mindful eating. I too had several hungry ghosts and still have a few lurking that I have to keep in control. I had a similar experience with pizza at a late night work meeting. It was overcooked, so why waste calories on something I wasn’t enjoying? I know in the past, I have been guilty of eating foods that were not enjoyable for my senses. I would eat just out of boredom or because it was “time” to eat not because my body said it was hungry. It’s definitely a challenge re-learning how to eat when HUNGRY and not according to a clock. Thank you Lisa, for posting such an informative review and personal statement about mindful eating. It speaks to me, but it also makes me feel in touch with so many people I see personally everyday who struggle with food. I am going to purchase this one – thanks! Let me know what you think of the book once you read it.